Hungry before getting that early start fishing or boating? Buck's Diner serves the best breakfast around Lake St. Clair... and we are open 7 days a week at 6am! Stop by for breakfast anytime or lunch until 2pm - daily specials and favorites such as our Eggs Benedict, Asparagus Omelette, or the Big Buck! 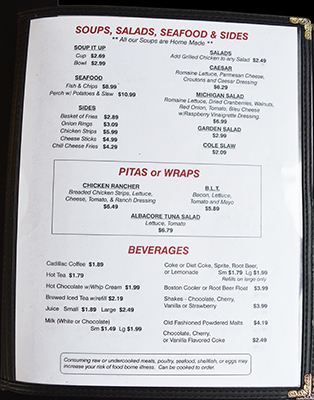 Order a carry out - See BUCK'S MENU below. All Buck's items are fresh and cooked to order. Buck's Diner is open until 2pm, so stop by and have a sandwich or late breakfast ... or order a carry out on the way to your boat! 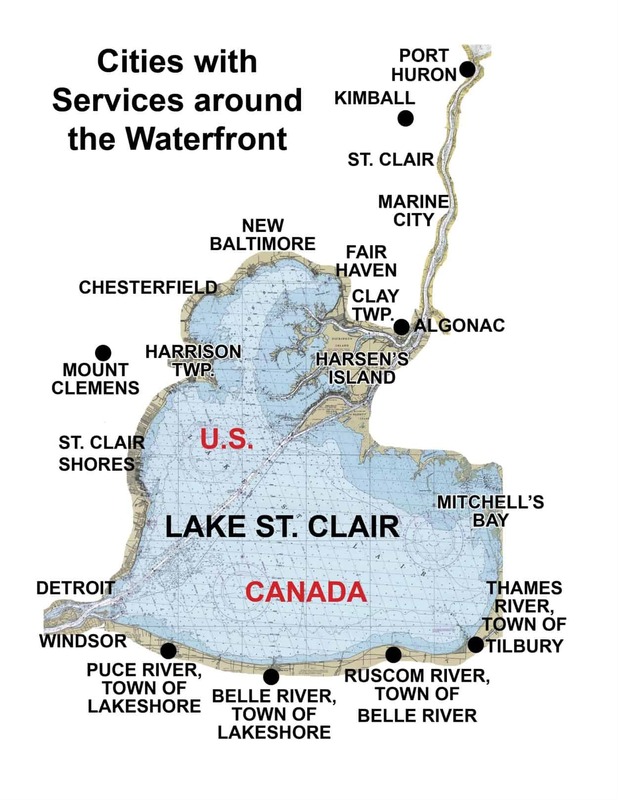 Buck's has no boat dockage but is on M29 by the Fair Haven DNR launch ramp, and on your route to many marinas in Fair Haven, Harsen's Island, and Algonac. Family owned for almost 30 years, and started by dad who was a cook in the Navy, we know how to get your day started right.